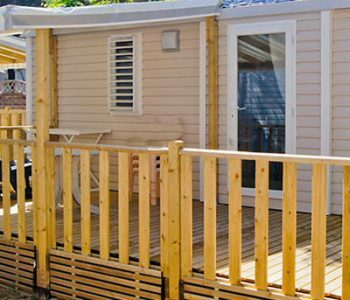 For a comfortable trip with the family, choose one of our mobile homes designed for families with two children (2 bedrooms, one with double bed). 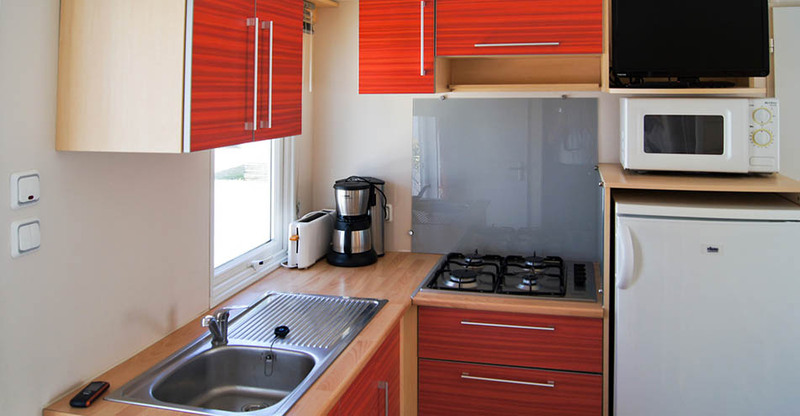 While parents prepare meals in the kitchen or watch TV in the living room, children can play ping-pong in the playground area or enjoy the tiny football ground. The Mini Club has sports and games every day in July and August with a counselor. Your children can have fun and make new friends so that they will always remember their trip to our family-friendly campsite. Watching your children have fun with their new friends in the playground areas, running or biking down the safe, wooded paths. Swimming laps in the outdoor heated pool or in the indoor pool if it rains. Relaxing in the jacuzzi after a bike ride through vineyards and salt marshes, or after a windsurfing race on the Le Bois-Plage-en-Ré beach. 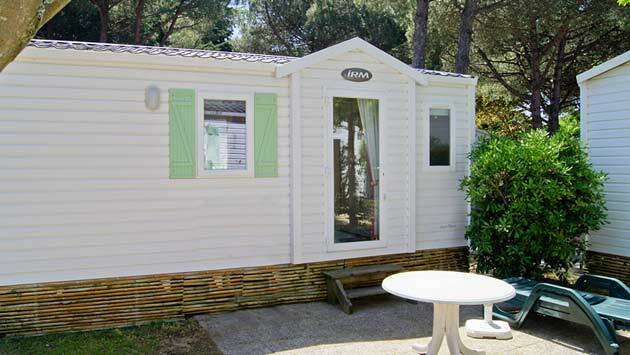 The joys of camping with your family on the Ile-de-Ré are both simple and priceless. 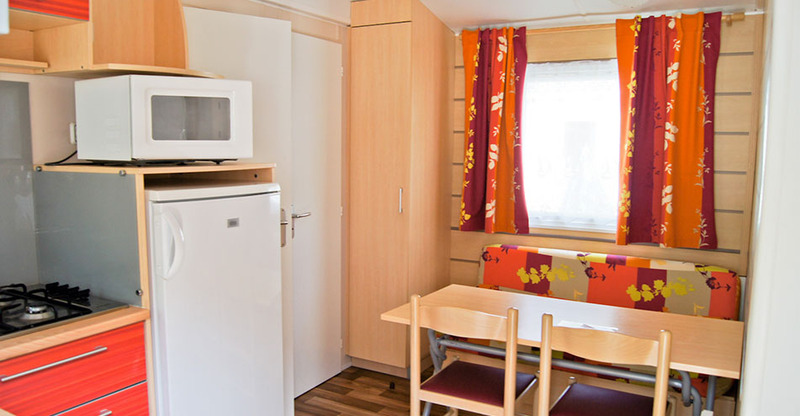 This mobile home has a living room with couch, TV and equipped kitchen (dishes for 4 people, stove, refrigerator, microwave, coffeemaker, toaster and dishwasher in “Formule” Privilège), 1 bedroom with double bed (full size for the “Formule” Plus, queen for the Privilège), 1 bedroom with 2 single beds and 1 bathroom with separate toilet. 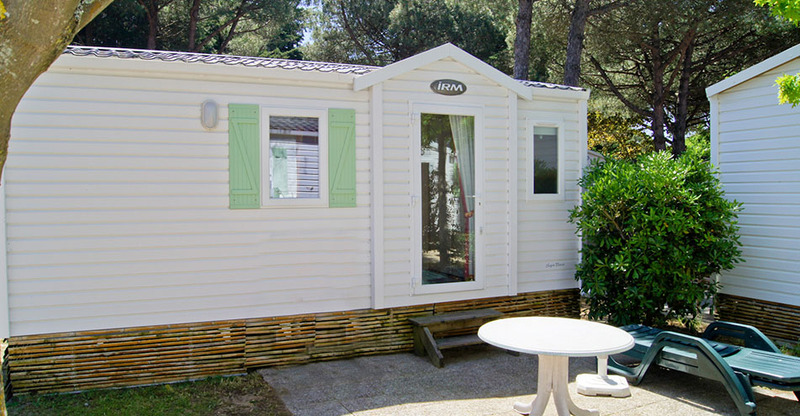 You will also find garden furniture and two sun loungers on the terrace of your mobile home (wood half covered terrace for the “Formule” Privilège and flagstones terrace for the “Formule” Plus) so that you can lay out under the sun, eat outside, and enjoy the warm climate throughout your stay. More of an off-season type? 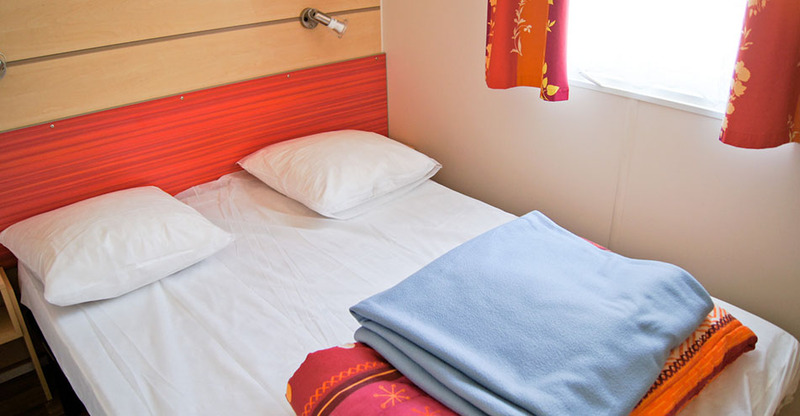 All rooms are heated so you can keep warm. 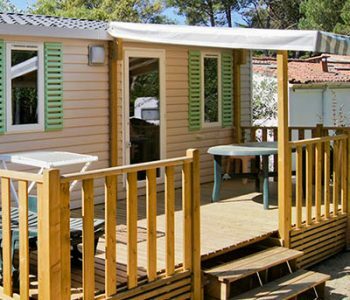 When you book this rental designed for families, you will enjoy maximum comfort and the friendly atmosphere of the campsite. 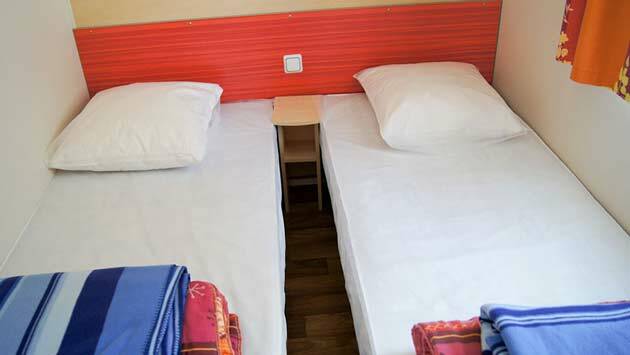 Useful information: Cotton sheets, comforters, blankets, towels, dishclots and bath mat are provided. 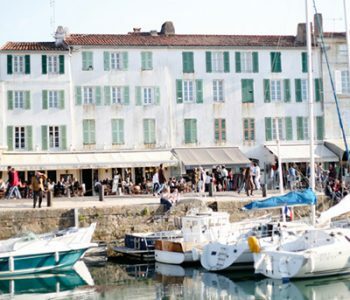 Discover the cities of the island of Ré.